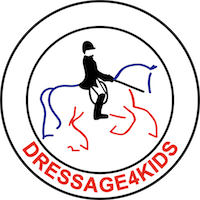 This is the flagship event of Dressage4Kids, Inc. conducted in July or August. Instituted in 1999, the festival offers individual and team competition for riders from ages 4 through 21. Division championships feature a three-phased competition: a written test, an individual dressage test, and a group equitation ride. 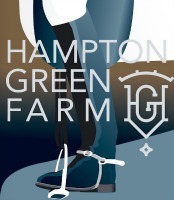 Divisions offered are Introductory through Fourth, FEI Pony, Junior and Young Rider and Para Equestrian. Riders may also assemble teams and vie for the Kross Creek Farm Team Competition in honor of Margarita Serrell. Classes for Leadline (riders aged 4 to 8), Prix Caprilli (dressage ride incorporating jumps), Dressage Trail and Musical Freestyle are offered, as are other competitive and fun activities. Here are some suggestions, useful facts, and ideas for bringing your horse to shows – particularly for the Youth Dressage Festival in August. 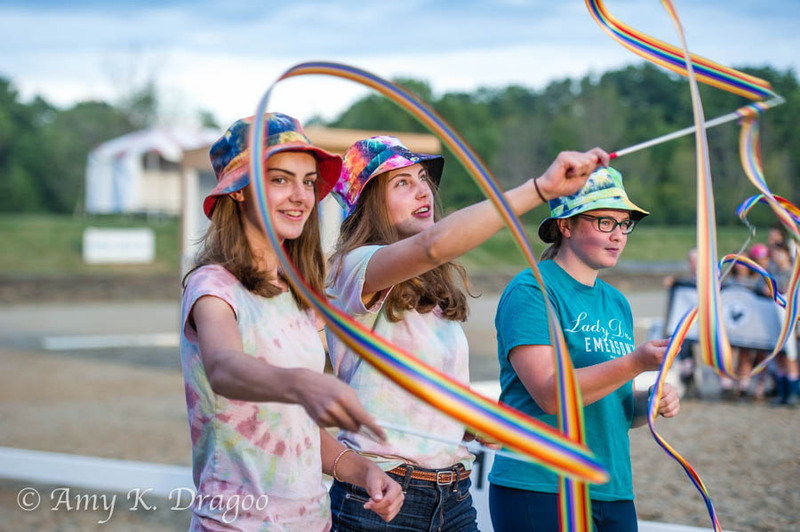 Dressage4Kids needs you to volunteer at the Youth Dressage Festival, July 12-14, 2019! Our many dedicated Volunteers make YDF possible. There are many things to help with that require varying amounts of time. Whether you have a few hours or a full day or more your help will be welcomed and appreciated. View our volunteer job descriptions to find the job that suits you. In addition to the jobs described, we also need help at the Volunteer Booth, with organizing awards and in the D4K Store. We look forward to hearing from you. Thank you for your interest in Dressage4Kids. And visit https://youthdressagefestival.presencehost.net for more information.